Arab oil importers are faced with a hard life. In the foreseeable future, their existence will be strictly determined by scarcity of capital, and their lagging behind in terms of livelihood will be increasing markedly. The indicative planning of the times of socialist orientation (which was, in fact, capitalism truncated in a number of components) and the significant elements of state distribution in the economic and social spheres, at that time as well, maintained just a bearable reproduction regime, keeping the population on the brink of poverty. The same situation is emerging for the forthcoming period since there are no yet signs of a serious alternative to the state as an organiser and participant in the development processes and an important employer. Whilst the trends are similar, there is no doubt about their unevenness. 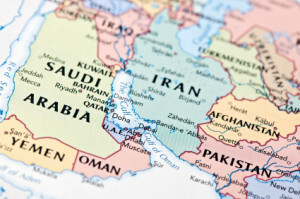 The speed and magnitude of the economic and social processes in the non-petroleum part of the Arab world will be also determined by the nature and pace of the mobilisation of internal and external sources of accumulation, and by the amount of material, technical and financial provision of development. But these resources, in each particular case, do not conform a priori to their needs. Hence, stability of efforts cannot be achieved even due to very individualised ways of evolution. The convergence of indicators of growth is very unlikely also because there is already a big gap between the coordinates of the starting points due to the destruction of the material base of production, collapse of the internal market, the destruction of the economic and social infrastructure in some countries, and the substantial deterioration of quality indicators on these points in others, and this process is still far from reaching its end. The technical and social progress, under such conditions, can be achieved mainly by a natural, that is slow, accumulation of relevant features without significant jumps but with a weighty trend for a malfunction in the significant areas. In this connection, Arab states of the average and below-average level of development will continue to move along nonconvergent routes but with the use of previous techniques. And still, the Arab world, in this part of it, is moving, one way or another, in line with the global processes, repeating at its level some peculiarities of the global dynamics, which determines the vector of the evolution of the global community. This is one of the few circumstances which can somehow confirm that, in the future, Arab “average” countries will stay in line with the global trends and will, with lesser or greater consistency, adhere to political, social and cultural standards in an effort to overcome their transitive status and enter decent places. However, practice shows that, on the whole, the attitude of the group of countries in question to many issues of the contemporary world looks reactive, they do not work in a proactive manner, and their propensity to palliative solutions even of complex problems will continue for a long period of time. In the light of this, the overcoming of several decades of development in a natural, that is evolutionary, way, which is not one of the most economical ones, probably seem quite acceptable to the rigid part of the Arab world. It is this approach to the socio-economic processes that protects best the integrity of traditional heritage, the Arab nationalism and patriotism which constitute the carcass of public conscience and protect the population from the effects of pro-Western modernisation. Each of the Arab regimes (secular or theocratic) strongly emphasises its special way – from the support for dying handicrafts to the cultivation, within their boundaries, of the idea of Islamic banking revived by Arabian monarchies. The successful example of progressing Islamic finance will continue to personify the capacity of Arab money and enhance, for the sake of Arabian vanity, the illusion of independent functioning of the non-existent “Islamic economy” in the framework of the world economic system. But low-income Arabs also use these as some sort of anchor points which guarantee them the preservation of their identity and familiar socio-cultural orientation against the constantly haunting threat of the advent of the Western market ideology and unacceptable spiritual values. The protective function of traditions will not die in the Arab world as such any time soon, and the whole process will be sore in the forthcoming period of time. Their political and economic substance now manifests itself (and it should remain so in the foreseeable future) in the amorphism of the economic organism, the distortions of macroeconomic stabilisation and structural reforms, the propensity to etatism, the quite intensive and proven by time corporate connections within groups of economic entities, the informal relations in business, and the shadow structures of the tribal origin which are actively participating in the under-cover distribution not only of the economic but also political resource. These points make it possible to talk about the extent of the preparedness of Arab countries to perceive the modern multifaceted economic and political order. This extent cannot be described as high. Even the supporters of a more open course evaluate the prospects with caution: active actions in this direction are hindered by the visible obsolete and archaic touch of the approaches to this delicate subject. At the same time, the diversification of institutions and management functions raises concerns in terms of the quality of executive mechanisms and the scale of new tasks. Even if this attitude is considered as a consequence of simple bias, the latter is clearly difficult to erase, too, by isolated manipulations on a narrow front, not to mention the deeper causes for its existence. This will require persistent and systematic measures, for which neither the power of any genesis nor the educated Arab intelligentsia, the state bureaucracy with its numerous failings and even the people, by and large, not ready. And it is more so now, when, in the previously key Arab countries of moderate income, there has been an enormous malfunction in the reproduction systems and the development processes have become unmanageable, so, before going any further, it is necessary to at least bring what has been lost back to the original condition. This alone will require substantial efforts and time and will affect the overall duration of the recovery period, which well may take decades. These and other points in the course of the sluggish growth (which has not been very high previously either) and the insufficiently expressed political will are expected to maintain, for a long time, the additional negative qualities in the flawed Middle Eastern economy. They are virtually impossible to eliminate using the measures of usual bureaucratic therapy, and its methods, previously applied in various niches, even in better times gave the economy looseness and reduced its efficiency factor. However, the more or less long-term forecast period makes it possible to predict that, one way or another, the new will be still penetrating the fabric of the Arab existence. But the new will be fiercely confronted by the old, generating an ongoing antagonism, which is particularly likely under the conditions of the deficit of anything and everything. Old rivalries will not be forgotten quickly, and there will be further acute problems and challenges, the solution of which will require of the Arab community to intensify their remaining strength, thus hindering their consolidation and mobilisation on a positive basis. Alexander Filonik, PhD in economics, Senior Research Fellow at the Centre for Arab and Islamic Studies at the Institute of Oriental Studies RAS, exclusively for the online magazine “New Eastern Outlook”.